One of the items on my wishlist is a cozy grey cardigan. But when you have a particular item in mind long enough, it's harder and harder to find. I add more details and features I'd like the longer I search for it which inevitably makes the search longer! After seeing how much I wear my camel colored boyfriend cardigan and my cozy cardigan from Express this past fall and winter, I wanted to add a grey one to my closet. Coziness was an important factor as was length and the perfect shade of grey. I prefer grey when it is made of variegated shades. It adds a nice level of interest and almost another texture to an outfit. I finally found the perfect grey cardigan on StyleWe for under $70. Although that is a bit of a splurge for me, as soft and warm as this sweater is I find it worth it! Sweaters are definitely an area I can justify spending a bit more on if the quality is good and I saw the quality with this as soon as I opened the package! 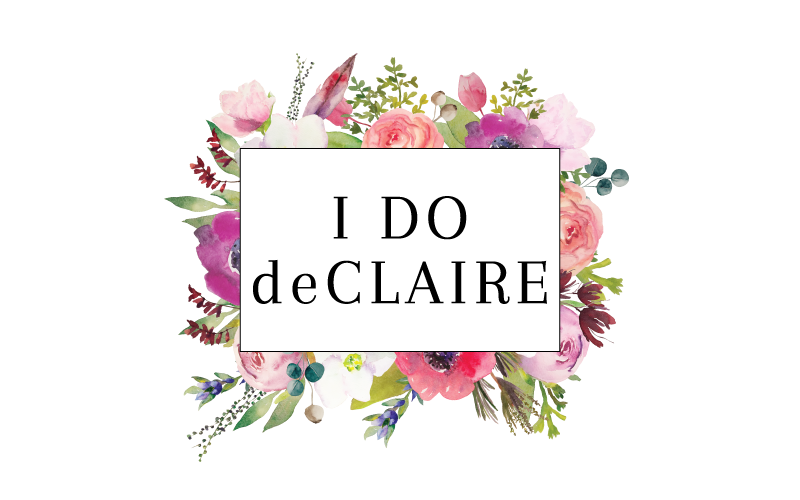 What types of items can you justify splurging a little on? This color combo is so cute, love this! I love yellow and grey together! Such a cosy and cute cardi too! I bought a grey cardi last winter, such a good piece I wore it a lot! What a lovely cardigan! I love the color combo of yellow and grey. 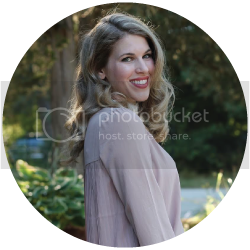 Such a chic casual look Laura! Cozy cardigans are all I want to wear these days! This grey one is such a great wardrobe staple! Love the yellow and grey styled together! I don't think I have anything yellow in my closet. That needs to change asap! What a fun, unexpected color combo! It looks like the perfect way to brighten up a dreary winter day. I could use this cardi this morning. Perfect! This outfit is right up my alley, Laura!! I think you'll get a ton of wear from that cardigan, so the cost won't make you feel so guilty. I have one that's over 5 years old---and I love it! I find that it can replace a coat sometimes, especially over some dresses!! This color combination is one of my faves. Cute cozy casual outfit. I send more money on my shoe then anything else I own. Love a good snuggly cardigan like this! Too cute! I love yellow and gray together and so of course I love this outfit. 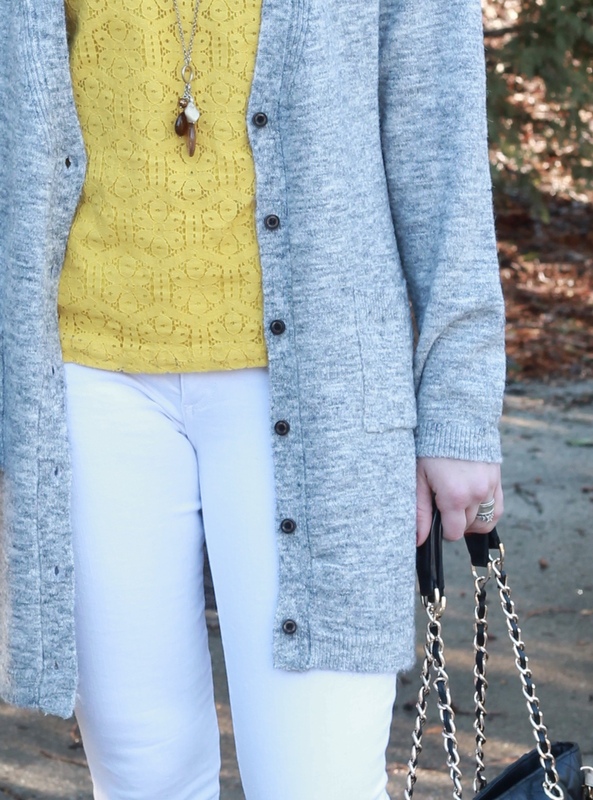 That gray cardi looks nice and thick (but, not too thick) and perfect to get us through the rest of winter! You look like a lovely breath of Spring sunshine! I love this! 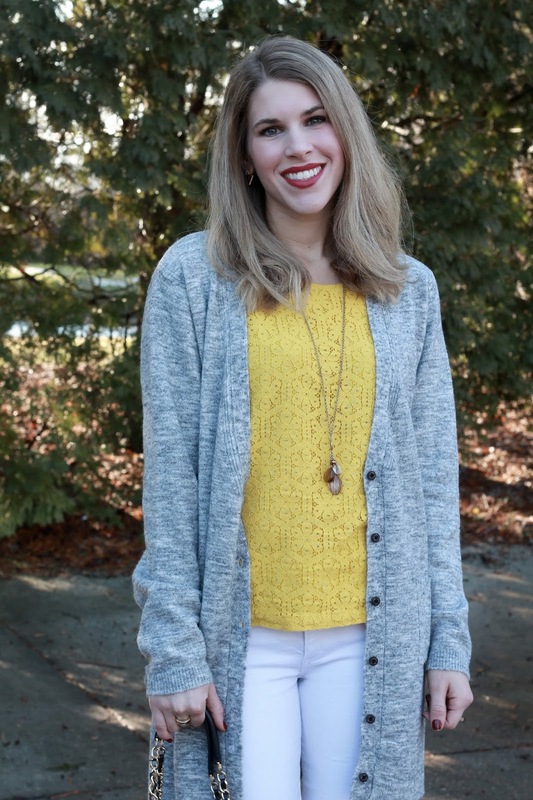 Beautiful yellow top and loving your cardi! 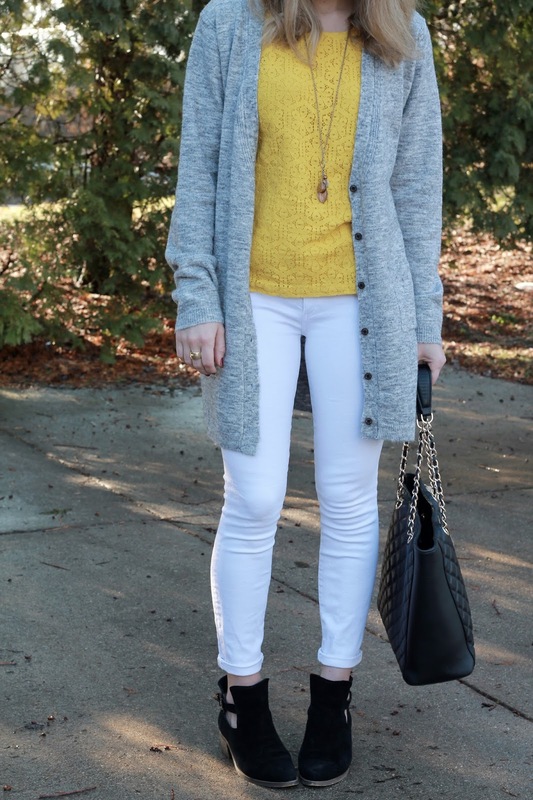 That grey and yellow combo is so cute and refreshing! What a fabulous sweater! It looks so cozy and comfy! That cardigan looks amazinggg! 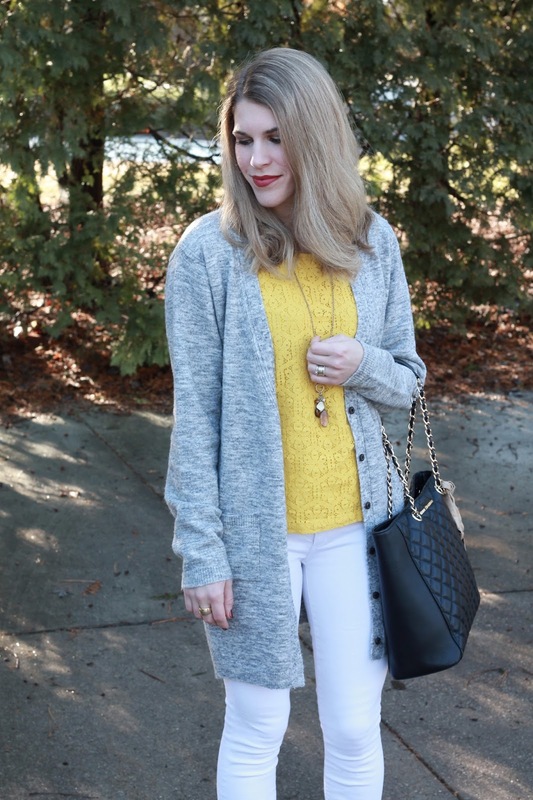 Love the pop of yellow with your top...looks great with the grey! Hope you have an amazing weekend, pretty lady! Why is it that when you are looking for something specific it never seems you can find it? 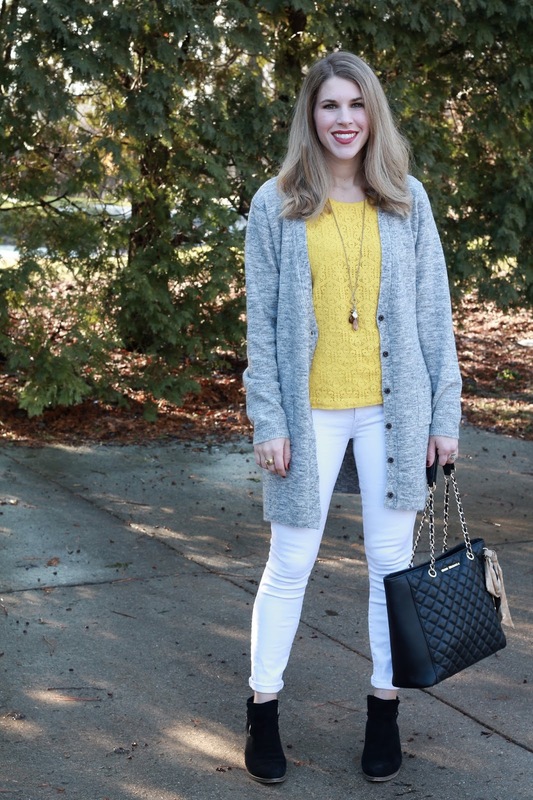 This is the perfect cozy cardi, and I love it with your white denim. For me, if I splurge it has to be of good quality, and either something really unique, or something I will get a ton of use out of. I'm sure this cardigan will be on constant repeat, and I love your bright springtime colors! Love the pop of yellow with the grey - and thanks for linking up to Top of the World too!